The sun-drenched Canary Islands lie close to North Africa and have an exotic flavour of their own. Hundreds of volcanoes, rolling sand dunes, rich forests and rugged cliffs dapple these Atlantic gems. Situated just seventy miles from the North African coast, these thirteen sub-tropical islands are some of Spain's most popular holiday destinations. But why stick to just one island when you could see them all? 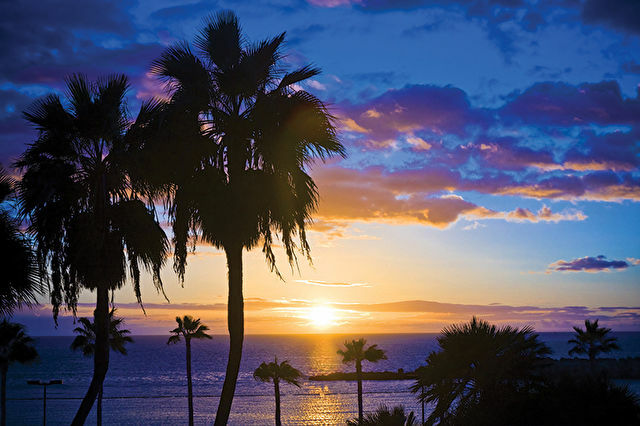 On a Canaries cruise you can visit La Palma with its dramatic volcanic scenery, Gran Canaria's spectacular sand dunes, Tenerife's exciting water parks and lively nightlife, as well as Lanzarote's long white beaches. On many Canary Island cruises, there's also the chance to leave the Spanish islands behind for a few days and enjoy Portuguese life on the small isle of Madeira, or experience the hectic buzz of Morocco in Agadir. See the red, black and white sandy beaches! Explore the quaint and beautiful town of Funchal.